In the past several years, GN Solids Control has been developing very quickly originating from a new brand to a in the world well known company which is often known as one of the main and leading solids control manufacturers in planet. 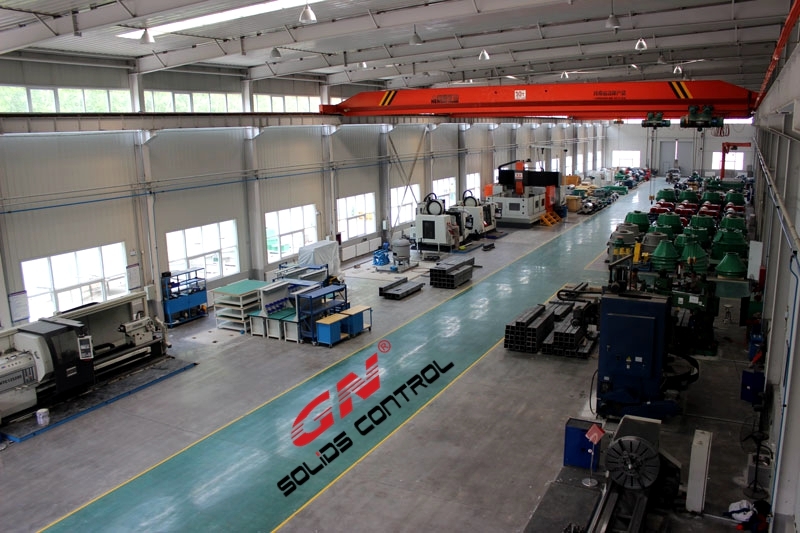 When you talk about the oil and coal solids control systems supply by china manufacturer, with good quality and trusted service, GN Solids Control is the first name this comes across your mind. 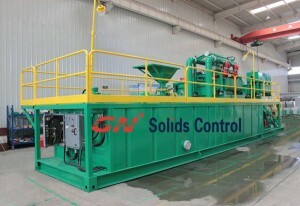 Solids control and drilling waste management is not just important for the oil and gas drilling industry, but also benefit a good deal for the whole environment of the world, specially the waste management methods. 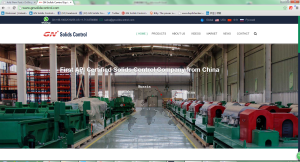 If the solids control devices is for the benefit for the going companies because the drilling mud recycling reduces their fee for drilling and help often the driller to re utilize valuable drilling liquid. several. GNGH15A Solidification system with regard to final treatment of drilling cuttings, and making the liquidate factors in the drilling cuttings to become stabilized and no longer injury to the environment. May you have much more interest, welcome to contact us widely. Drilling cuttings box is designed to transport drilling cuttings , solids out of desander , solids out of desilter and solids out of decanter centrifuge or pit cleaning waste during drilling operation . The drilling cuttings box transport by fork lift and set container loading point normally .The drilling cuttings box will be fully enclosed with a lifting frame and a large sealing door designed for filling and emptying , the cuttings box can be provided with certified lifting slings and discharge door has an internal seal for secure when transport . A typical drilling cuttings box has an internal volume of 2.3 cubic meters and the size can be changeableinfact . The gross weight of 8000 KG is allowed the drilling cuttings box to be filled with an maximum of about 6600 KG of drilling cuttings or other drilling waste . There are fork lift working point for easy moving for fork lift . The drilling cuttings from shale shaker will be depending on drilling conditions , normally the drilling size larger than 100 microns cause screen minimum normally 150 mesh size and drilling solids from desander will be larger than 50 microns , desilter solids will be larger than 20 microns . 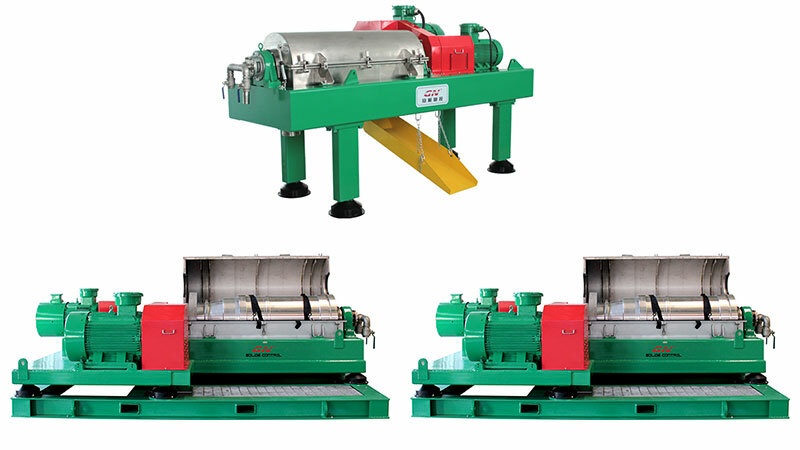 Different machine will produce different size drilling solids , decanter centrifuge will separate solids 2 to 7 microns , if client using middle speed centrifuge , solids above 7 microns but the solids will be finer if they use a high speed decanter centrifuge . 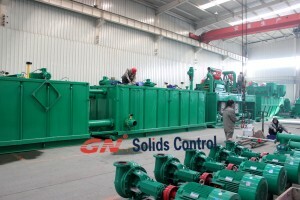 GN Solids mainly supply solids control equipment which can separate drilling solids or drilling cuttings from drilling mud , drilling waste management system which is the try drilling cuttings or recycling drilling fluids from solids particals . But we supply drilling cutting box also to assist with GN Solids equipment and service for all client . 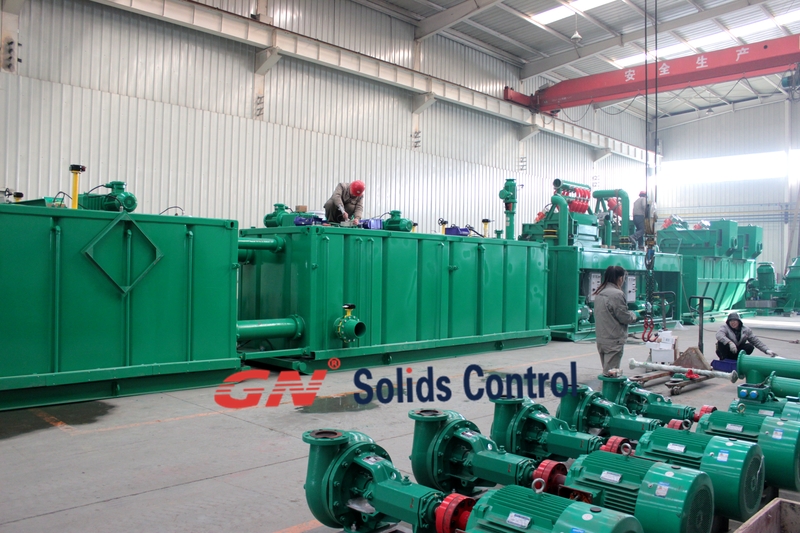 GN Solids Control is the first API certified solids control and waste management manufacturer in China, its products serve not only for the oil and gas industries, but also for other drilling projects like HDD, TBM, CBM and Bored Piling works. Years ago, for such drilling works like HDD, TBM, CBM and Piling, there are not so many strict restrictions for the environment protection, sometimes a single shale shaker is enough. But now, more and more rules for protecting the environment are established and the running cost of the project is more and more considered. 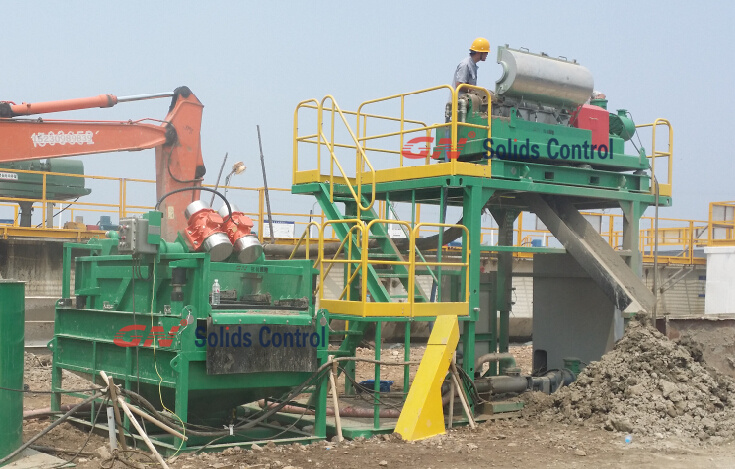 That’s why many end users are buying desanding plant for their projects. 1. economic solution: desanding plants with a compact mud unit with 2 steps separating equipments, the shale shaker and the hydrocyclones, the desander cones or desilter cones. 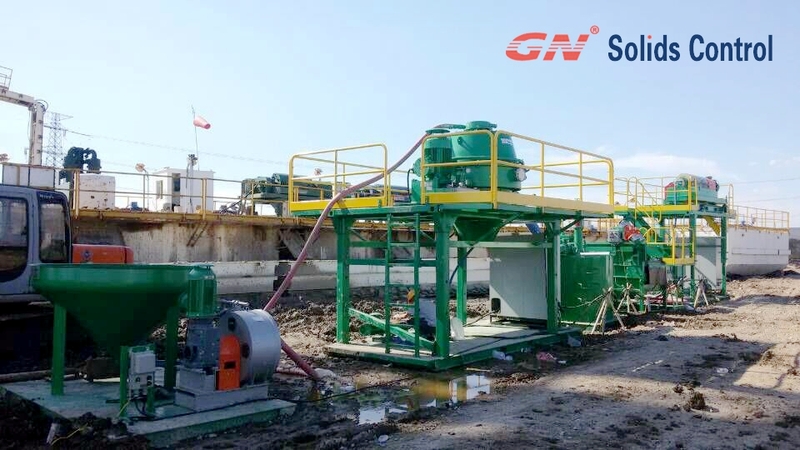 In order to get a compact design, GN designed the desanding unit as one equipment on one tank, it is a double shaker desander, like GNZJ-705E-D2S. The lower layer of shaker uses coarse screens, for the first step separation, the liquid falls into the tank and pumped to the upper located hydrocyclones for second step separation. 2. higher standard solution, also called self contained mud recycling system. They have 3 steps of separation, including shale shaker, desander cones with underflow drying shaker, and desilter cones with underflow drying shaker, besides the separation equipments, this kind of mud systems also have a mud mixing unit including mud mixing hopper and centrifugal pump for mixing. For both above mentioned 2 kinds of desanding plants, or mud recycling unit, GN has 3 main optional capacities for clients to choose from. In fact, those 3 capacities are most popular ones among all the requests in this industry. There are 200GPM, 500GPM and 1000GPM mud systems.